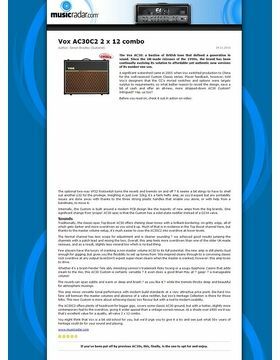 Rockbag Cover for Vox AC30 2x12"
A unique sound lab! Everything you want and what needs to be in one place ! R & B, Rock, Country, Funk, Soul, Jazz... Each guitar sounds uniquely in its original tonal manner, and is the sound of the best release. 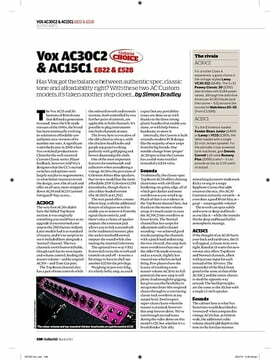 At home, in a studio, in a small or big club, or at a stadium, this has made the job fantastic : "At the 2010 Winter NAMM expo Vox introduced the Custom series; these models were updates to the 2004 Custom Classic series amplifiers and featured two channels (Normal and Top Boost) with two inputs for each channel (High and Low), more akin to the original AC30/4 layout released in 1958. 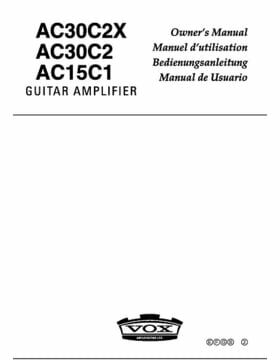 It was available with either Greenback speakers (C2) or Alnico Blue Speakers (C2x), and was also available as the AC15. 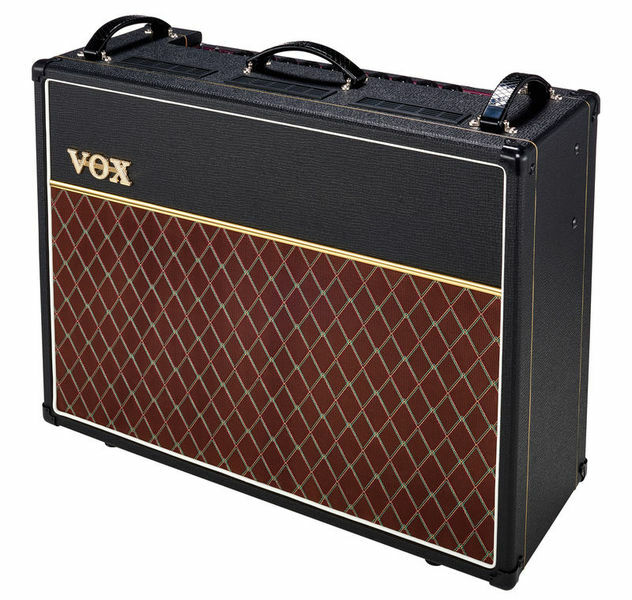 Later limited edition models include the AC30BL, a tygoon blue tolex with grey speaker cloth, an AC30C2RD with a red finish, an AC30C2-BRG a British Racing Green tolex finish with a grey speaker cloth and the AC30C2 Black Comet; featuring a patterned finish all are identical to the C2. 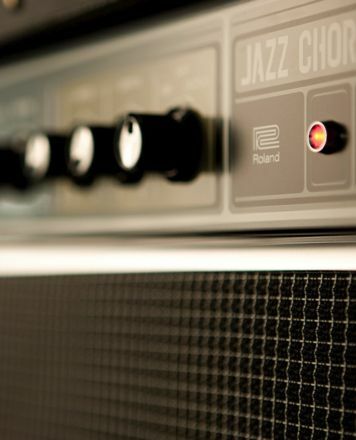 The amp featured an option known as "Jumping" where the High-Normal channel could be linked to the Low-Top Boost channel with a patch lead, whilst the guitar is plugged into the High-Top Boost channel, allowing both channels to sound and create a fuller, thicker overdrive sound. 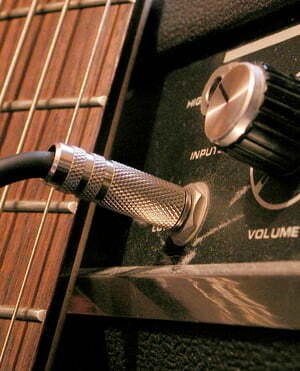 The amp also featured a solid-state rectifier to increase reliability. Controls include a Normal volume, Top Boost Volume, Treble and Bass controls, Reverb Tone and Level controls, Tremolo Speed and Depth controls, a Tone Cut control (to add further control over the higher-frequencies), a Master Volume, and a Standby and Power Switch. 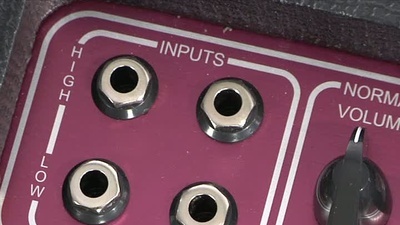 A true bypass effects loop, extension cab output and external cab output were also included; as well as an input for the external foot switch (to control Reverb and Tremolo). The amps are produced in China. The amps were released to critical success, garnering awards such as Music Radar's "Guitarist Choice" award." The legend itself, the AC30. This thing is huge! If you're looking for a home practice amp this certainly won't be suitable. It's tremendously loud and could be used in many medium to large sized venues. It's super heavy, almost 4 stone! The handles seems sturdy enough but it's too early to tell. At this point though the quality seems good enough to last a good while. The good thing about this amp is the master volume. In previous AC30's the only way to get a good warm distortion was to crank the volume up full meaning to have a nice tone you had to deafen your bandmates - not any more! Now you can crank up the volume for the tone, and control the overall master with the master section. Another cool feature is the spring reverb which is super sweet. Also the tremelo is a nice touch and sounds crisp even if I don't use it much myself. The sound it legendary. It's a powerhouse and sounds so warm you wouldn't believe. Despite it being an old design this amp is suitable for hundreds of genres too - from blues, to rock, to pop, to metal, this amp could do it all! 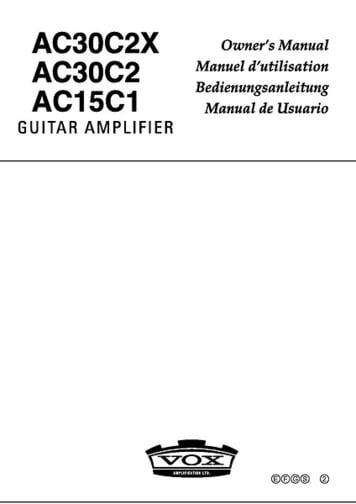 Amazing buy and I'm glad to be a proud owner of an AC30. No complaints, simply awesome.  ID: 180600 © 1996–2019 Thomann GmbH Thomann loves you, because you rock!